I’ve asked my friends and family this holiday season to make the effort to make presents this year, especially for the little one. Or, if they can’t make, at least buy locally/regionally. In our world mass-produced toys are the norm. The building blocks of young imaginations are being predetermined by massive corporations. This year, and for the years to come, I wish for the toys that my daughter plays with to be the simple building blocks of the worlds that she will create. Today’s find is the inspiration behind the kind of toys I wish for my daughter to play with. Although this tute is for very heavy plaster houses, I plan on making a version sans plaster for my little one to play “house” with. 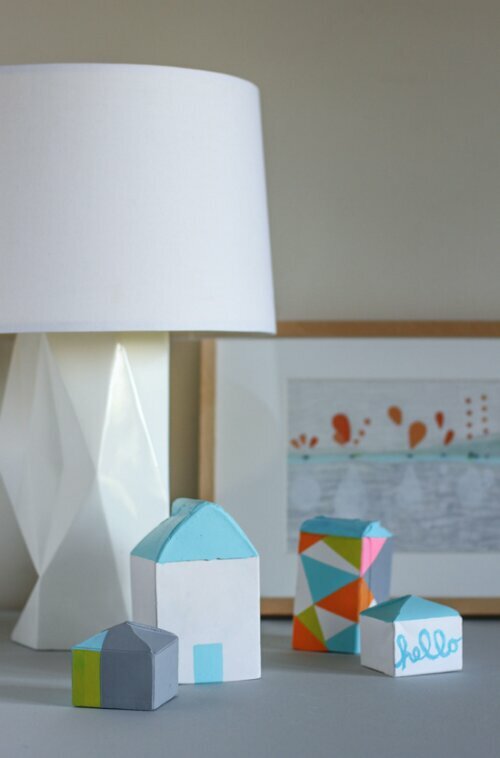 What are some creative ideas you’ve had when making toys for little ones? Simpler really is better for itty bitties with endless imaginations, it seems.